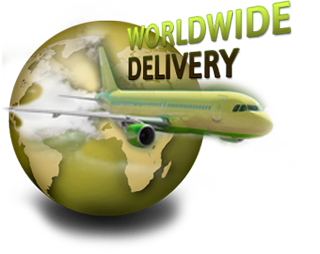 Spanishflyherbal.com ships to any country in the world including Europe, Asia, Africa, Australia, USA, Canada, South America, Central America and the Caribbean. All products are packed carefully and shipped discretely using Royal Mail Airmail International Services to any physical address (residential and business, or to a P.O. Box number ) Please ensure that your PO box service includes receiving parcels. All products ordered will be sent out Tracked /Signature delivery with no extra charge for this service. Below are our standard procedures for shipment of your personal order package. All customer ordered packages are shipped discreetly with no mention of the name of any product or labelling on the package. All of our packages are shipped in a discreet manila brown envelope or box with your Address details and our return address only. Each package is sent tracked or requiring signed confirmation upon delivery. For your privacy and discretion all our Products purchased by customers are packaged in a discrete brown package and make no mention or reference to the product nature inside ensuring you total confidence and utmost privacy. All International Orders are Shipped with tracking or require signature upon delivery and with no additional charges. All international orders are shipped via Royal Mail International providing you with quick delivery. On International Orders we regularly send out daily, we have to mention what is inside the package so we do have to mark this down as one of the following; "Health Products" Herbal Medicine, Beauty Product, or "Herbal Beauty Product" due to customs regulations and a speedy clearance for delivery to your home address. Once Airmailed by us, International Deliveries are then made via that countries standard postal service e.g. USA (USPS), Canada (Canada Post), Germany (Deutsche Post), Italy (Post Italiane) France (La Poste) etc. All orders are sent via Airmail by Royal Mail Standard tracked Delivery and can take between 5-7 business days for delivery. Some states do take longer than others to receive their mail. Unfortunately this is a USPS issue. Airmail parcels entering the USA are randomly inspected by Home Security. This can include opening the mail package. Parcels to US addresses can therefore be delayed and sometimes take up to four weeks. We must ask US customers to be very patient - we have sent out many replacement parcels only to see the original package arrive before the replacement. With many years past experience of sending parcels worldwide, almost NO parcels are ever actually lost. Please note that all orders to Korea due to strict customs clearance procedures, have to have our products in plain bottles with no packaging due to the laws depicting sexual products. Upon your order placed, we will email you details with instructions on usage and dosage to you, so you are aware of the products being sent to you. PLEASE NOTE: We will NOT send any products to North Korea. Including: UAE, Kuwait, Oman, Qatar, Bahrain, Saudi Arabia, Jordan, Israel, Iraq, Iran and Turkey. All orders to Middle eastern countries must have a full correct address, or if not a PO Box number. If using a PO box number address, please ensure your PO box is entitled to receive packages and not just letters. In many cases orders addressed to a PO box number cannot be sent with a conformation of signature upon delivery, so will only have a tracked number to your receiving country. National and Bank Holidays may delay your shipment, although we do try our best to provide you with a speedy delivery service. International packages will take longer to arrive than domestic orders as the package is travelling a further distance. Once the parcel is in your country, it will also pass through your customs office which can add time to the delivery. Customs can hold a parcel for several weeks and open up packages for inspections. 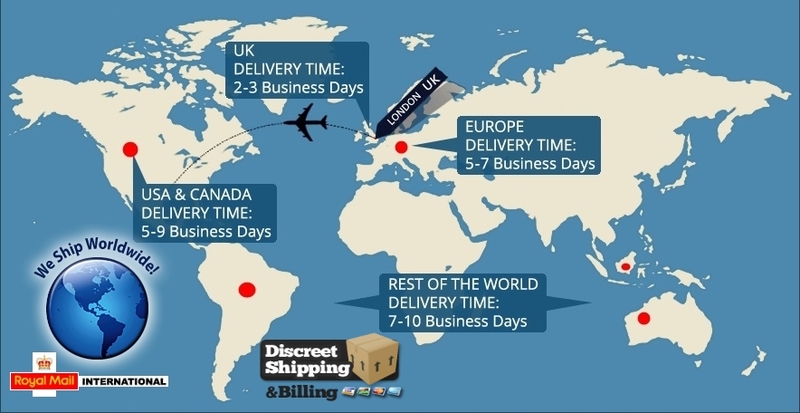 Usually international packages arrive somewhere within 3 weeks but can take longer depending on the Post Office and customs clearance in your country. Unfortunately, there is nothing as sellers we can do to speed up the process. Please be patient and allow sufficient time for your package to arrive and check the tracking number on the website we notified you by email initially, also check on your own country postal website which should have the item listed down to track upon.